ADD or Attention Deficit Disorder is a behavioral disorder that is commonly diagnosed among young children and teenagers, it is also known by the name Attention Deficit Hyperactivity Disorder ADHD. Research has indicated that the cause of ADD is linked to a chemical imbalance within the brain, specifically there is thought to be significantly low levels of important neurotransmitters such as dopamine and norepinephrine. The function of neurotransmitters is to rely messages from one area of the brain to another, and when they are not functioning properly the messages don’t reach their destinations. There are different neurotransmitters linked to each area of the brain. Both dopamine and norepinephrine are linked to the areas of the brains that manage attention, organization and emotions such as the limbic system and amygdala. Research has also identified a genetic link, leading to the suggestion that ADD may actually be hereditary and run in families. There are also some other pre-natal factors that can increase the chance of a child developing ADD, e.g. premature birth and having a low birth weight as well as the mother smoking or abusing drugs or alcohol during pregnancy. It is in fact the most commonly diagnosed behavioral disorder throughout the whole of the UK. It is usually diagnosed in young children and there are also more boys diagnosed than there are girls. There is a small percentage of girls that are diagnosed with the disorder but ADD symptoms in girls tend to present themselves differently than in their male counterparts. The girls with the disorder seem to fall heavily on the attention deficit spectrum and don’t suffer as much with the hyperactivity problems, because of this it is highly possible that there are more girls out there with the disorder than we think but because the signs of ADD present differently they are being overlooked. 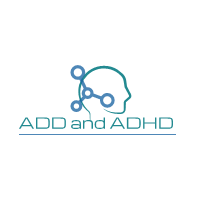 You may be concerned that you child is suffering with the disorder, but are sure of what signs of ADHD/ADD you really need to look out for, and sometime ADD symptoms may be difficult to separate to normal childhood hyperactivity. • Emotions – A child that is suffering with this disorder will often find it extremely difficult to manage and contain their emotions. If they are extremely happy they may have an outburst of energy and hyperactivity and if they are feeling sad or angry they engage in naughty behavior and temper tantrums that are almost impossible to keep under control. 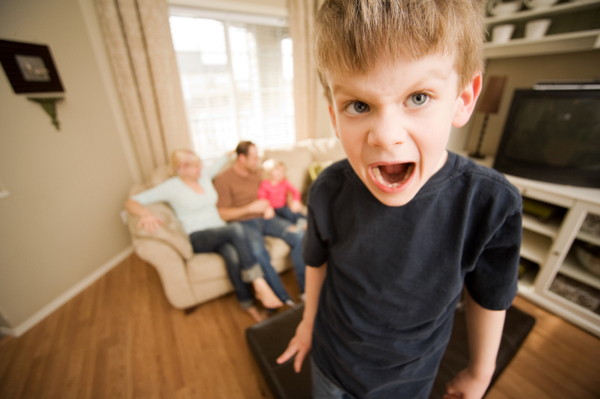 The temper tantrums will likely be more frequent in younger children, however as a child with ADD grows, if the condition is left untreated, their behavior could escalate to a point that they are a danger to others. • An Inability to Keep Still – There is a clear different between an energetic child and a child who is suffering with ADD. Children with this condition are actually physically unable to control their movements and will frequently fidget tap their feet and hands or jerk their arms and legs about. They will find it difficult to keep still even when they are engaging in activities that they enjoy. • Unfinished Tasks – A child that suffers from ADD will often find it difficult to focus on one specific task and see it through to completion. They may be interested in lots of different things and flit from one project to another. This symptom will become particularly apparent when the child starts school as they will likely find it difficult to concentrate for the duration of a lesson. You may also find that they have difficulty directing their attention, for example you might talk directly to them and they will appear to have heard by they don’t reply, this could be because something else has caught their attention momentarily and so they are not able to consider what you have said and form a reply. If you can identify the presence of any of these signs in your child then it would be a good idea to have discussion with your doctor and your child’s teachers if they are of school age. Are There Different Kinds of ADD/ADHD? As previously stated the condition presents differently according to gender, but as well as that there three main subtypes to the disorder which contain different symptoms. If you are asking yourself what are the symptoms of ADHD/ADD then it would be useful to understand the different subtypes. • Hyperactive – Impulsive Subtype: As the name suggests, this type is more about hyperactivity than attention deficit. Children that suffer from this type of ADD may present symptoms such as; frequently fidgeting, becoming extremely hyper and exhibiting distracting behavior in appropriate situations, as well as talking excessively and interrupting others. They may also have difficulty in social situations with their peers as they will struggle to hold a conversation and to take turns when playing games. • Inattention Subtype: This type is purely focused of the attention deficit end of the spectrum. Children with this type of ADD will frequently have trouble with concentrating on task and paying attention. They will also often make mistakes because they find it difficult to listen to and follow instructions. They will definitely be easily distracted and will also seem to be forgetful when engaging in daily activities. They may seem to be irresponsible and careless with their belongings but it is more likely that they forget where they put them. They will also find it difficult to organize activities. • Combined Subtype: Children that are diagnosed with combined subtype ADD will present symptoms from both of the other subtypes and will find it extremely difficult to focus on any task, control their behavior and emotional outbursts as well as significantly struggling with social situations. It is also very common that children with any type of ADD will be susceptible to other mental health problems such as anxiety and depression. It is also common to see a diagnosis of ADD alongside dyslexia and conduct disorders. What Treatment is there for ADD? So let’s review. What are symptoms of ADHD/ADD? The main symptoms are an inability to concentrate, a short attention span, difficult controlling emotions and difficulty interacting with peers. These are all of the symptoms that treatments needs to address. The treatment plan that is put in place will be produced in conjunction with a range of professionals including a medical doctor, a psychologist, the school the child attends as well as the parents. Most children will initially be introduced to drug treatments but there are also psychological treatments that can help ease symptoms. • Drug Treatments – The most common drug that is used to treat ADD is Ritalin or Methylphenidate to give it its medical name. As you read earlier one of the proposed causes of ADD is a depletion of the neurotransmitter dopamine within the brain. Ritalin works by stimulating dopamine production, enabling the neurotransmitter to improve its ability to carry messages to the parts of the brain that control attention, emotion and behavior. When treatment is first initiated it is likely that the child will start on a relatively low dose. In the weeks following this they will be closely monitored and any changes noted. The dose will likely be increased within 4-6 weeks if there has not been a significant reduction in symptoms. However, like any medicine there are side-effects to Ritalin and children may end suffering from insomnia and loss of appetite. Unless there is the opportunity to put any non-medical treatments in place it is likely that children who suffer from ADD will be continue to take medication for several years following their diagnosis. • Psychological Treatments – Some parents will be adverse to the idea of starting their children on the path of being dependent on a drug from an early age and this is completely understandable. Luckily in recent years there has been a lot of research done into ADD and there is now a far greater understanding of the symptoms and how to combat them without using drug treatments. Generally speaking, treatment will begin with the parents, this will usually entail an ADD professional referring parents to a parent training program, this will involve the parents being taught new and effective strategies to manage and reduce problem behavior. Parents will also learn ways that they can communicate better with their child. The training also aims to help parents empathize with their child and to better understand their emotions and the causes behind their behavior. In many cases the training will expand to include other individuals in a place of authority in the child’s life such as older siblings, grandparents and teachers. It may even be possible to bring a professional psychologist into a classroom situation with the child in order to assess the core problems and work with the teacher and the child to find the best possible solution and teach both parties effective coping mechanisms. Unfortunately there are some cases in which the child suffers so severely from ADD that these treatments are simply not enough. This is especially true when the child is diagnosed with the combined subtype of ADD.